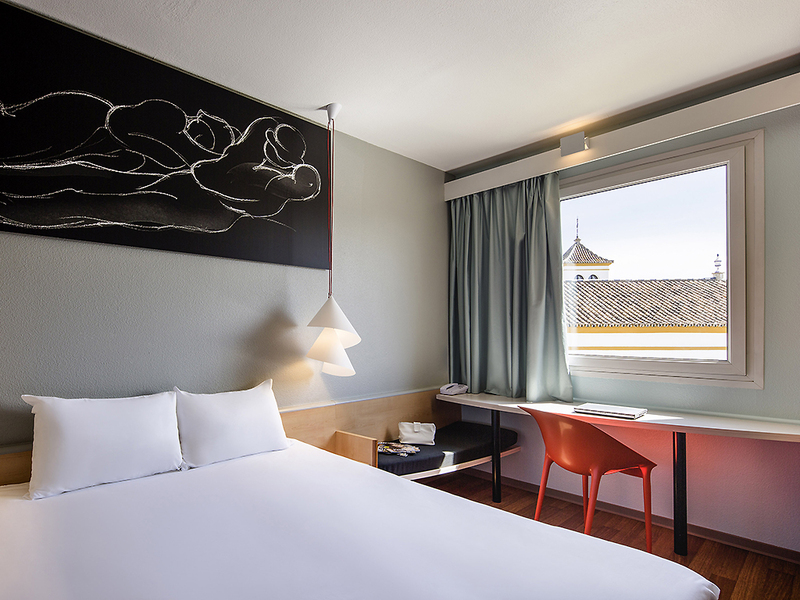 The ibis Sevilla hotel is the perfect accommodation for discovering the best of Seville. It is located close to the city center so you won't miss a thing. Enjoy a relaxing and romantic weekend in Seville, and don't forget your dog - they are part of the family and are welcome at this hotel. The rooms are equipped with the new Sweet Bed by ibis, air conditioning, heating and free WIFI. Our attentive staff are always on hand to help you. If you are thinking of a stay in Seville, don't miss out on a horse-drawn carriage ride. You'll be able to admire beautiful views of Plaza España, a perfect place that always fascinates tourists and where you can also take a boat ride. Very close to Seville airport, which you can reach in less than 10 minutes by car. Indoor and outdoor parking so you can safely leave your car and catch the bus. 렌트카여행시에 저렴하게 묵을수 있는 호텔로 아침은 8유로 수준이며 대중교통은 불편 주변에 할일은 없다. 마드리드 IBIS BUDGET 호텔을 거쳐 세비아의 IBIS 호텔에 투숙함. 투숙 만족도는 요금과 연계해서 표현하는 것이 합리적이라 생각하며, 가격 대비 대부분 만족했다. 다만, 두가지를 지적한다면 위치가 좀 외진 곳에 있는 점과 방에 그래도 커피 포드 정도는 있는 것이 어떨까 하는 점이다.